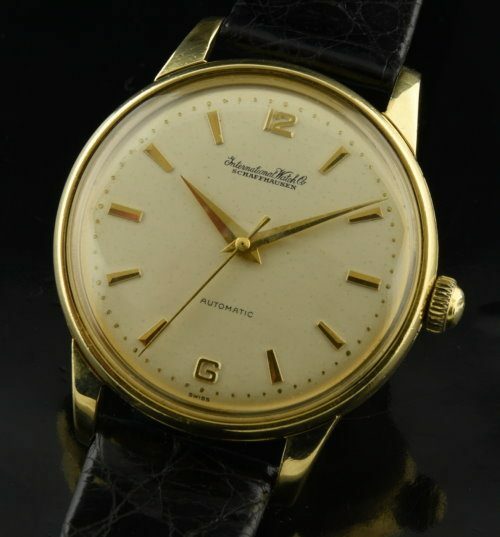 This is a very uncommon 1950’s solid gold oversized vintage IWC in 18k. The large case measures 36.5mm. and is very rarely found in this size. The automatic winding caliber 853 movement was just cleaned and is accurately keeping time. The lugs extend to 44.5mm. and are curved. The dial is completely original and with mild, subtle and attractive patina. 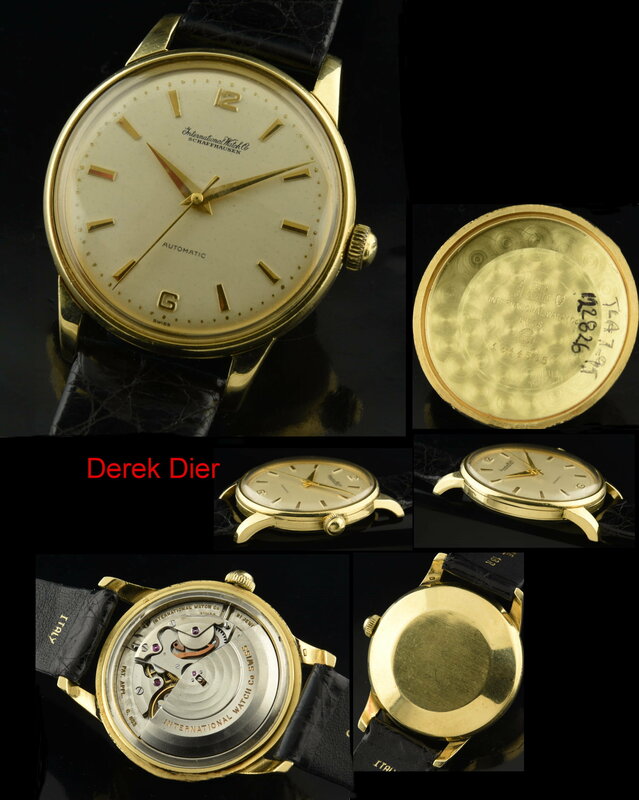 The Dauphine hands (original) and raised gold Arabic numerals add to the appeal. The case has NOT been polished and does not have any major dings or scratches.